As the reader will see below, there is compelling evidence that low vitamin D status during pregnancy is a major cause of autism, and that high dose vitamin D supplementation will often help the core symptoms of established autism. I have treated around 200 autistic children with high-dose vitamin D and about two-thirds respond, often dramatically. The dose ranges from 300 to 500 IU/kg/day. These doses require monitoring of vitamin D levels [25(OH)D] to ensure they are less than 120 ng/ml but higher than 80 ng/nl. The Vitamin D Council offers inexpensive, high quality in-home vitamin D tests. As I tried to make clear in my 2015 book about autism and vitamin D, autism spectrum disorders (ASD or autism) are a group of developmental disabilities, which can range from mild to severe. Intellectual disabilities are common with severe autism; while individuals with mild autism may have exceptional intellectual abilities. However, all individuals with autism have repetitive behaviors and impaired communication. Is the prevalence of ASD increasing? The Centers for Disease Control and Prevention reported in 2010 that one in every 110 children born in 2002 was diagnosed with ASD by age 8. Recently, this number increased to one in every 68; that is one out of every 68 eight-year-olds in the USA has ASD. In 2018, the reported prevalence increased again to one in 58. The reasons for the dramatically increased prevalence of ASD in the United States are not known. 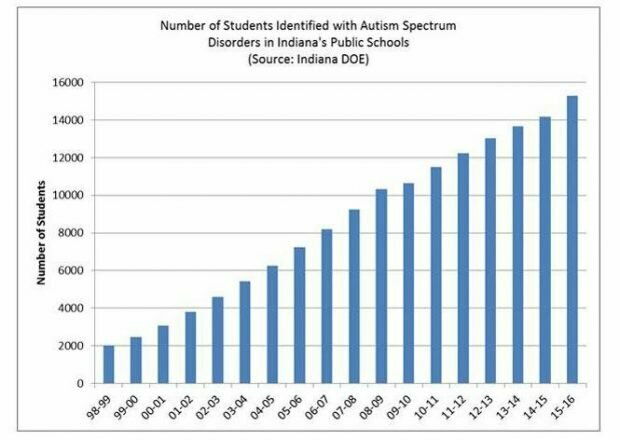 Below is a graph (Figure 1) of changes in the prevalence of autism in Indiana public schools. There are many other risk factors, both genetic and environmental, but most researchers now believe an unidentified factor exists that interacts with both genes and the environment. In my book on autism and vitamin D, I make the case that vitamin D is that factor. In 2008, Dr. John Cannell of the Vitamin D Council published the first paper on the link between autism and vitamin D. He has published six more scientific articles about autism and vitamin D since 2008. His 1988 paper was the first published paper suggesting that low vitamin D was the core factor causing autism. The paper provided evidence for this relationship, such as an increased prevalence of autism in the USA in regions of greater cloud cover and rainfall; ASD is more common in cities than rural areas and was increased by air pollution, all of which are associated with lower vitamin D levels. Also, in the United States, the rate of autism for children ages 6 to 17 years is highest in the regions of the country with the lowest solar UVB doses. A study conducted in the Faroe Islands found that those with ASD had lower vitamin D levels than their parents or siblings. Almost all studies have found children with ASD have lower levels of vitamin D than do typically developing controls. According to several studies, more children with autism are born during the spring, which is the time of year with the lowest vitamin D levels in northern latitudes. Women who have low vitamin D levels during pregnancy have a greatly elevated risk (almost 4-fold) of having a child who will develop autism by the age of eight. A recent larger study found pregnant women with 25(OH)D <10 ng/ml in the first trimester had a two-fold higher risk for ASD without mental impairment, but a six-fold higher risk exits for immigrant vitamin D deficient mothers. Another recent study of 4229 women found those with 25(OH)D < 10 ng/ml (25 nmol/l) in mid-gestation and at birth had children with twice the risk of autistic traits. 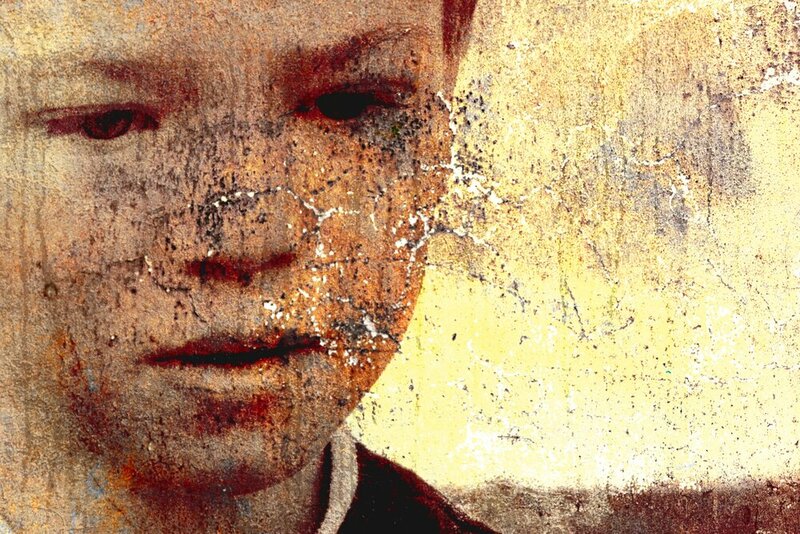 The maternal vitamin D deficiency is not the only factor that increases autism risk. A 2018 study of 3-year-old children found those children in the lowest 25% of vitamin D levels had a whopping 260% increased risk of autism. Researchers in Sweden have determined that children who later develop ASD had lower vitamin D levels at birth than their typically developing siblings do. This helps rules out, but does not entirely disprove, environmental factors as a cause of lower 25(OH)D levels in ASD children; it does suggest that heritability in vitamin D metabolism may cause the lower 25(OH)D levels at birth. Vitamin D levels at birth are dependent on the mother’s vitamin D levels, and one would think that a mother’s vitamin D levels would not drastically change from one pregnancy to the next. Therefore, this study suggests that the heritability of 25(OH)D, which ranges from 30% to 70% in different studies, is the genetic/environmental factor scientists have long sought in ASD. Also, in another innovative study, Schmidt et al discovered that certain genes associated with lowered vitamin D blood levels are also associated with autism. However, a Mendelian randomization study (where scientists study thousands of people for genetic defects in vitamin D metabolism to see if those genes are associated with autism) has not yet been done. Every cell in the brain has vitamin D receptors. The receptors control gene expression or how genetic material is used. Therefore, vitamin D certainly is involved in brain function. Vitamin D also protects brain tissue by stimulating production of neurotropins, chemicals that combat toxicity from several sources, including toxic levels of intracellular calcium. One of the hallmarks of autism is oxidative stress. This leads to early cell death. Scientific literature reports that vitamin D reduces oxidative stress. Anti-autoimmune effects (autoimmune disorders, such as autism, occur when the body’s own immune system attacks itself). Increasing T-regulatory cells (these are the cells that calm the immune system). Protecting the mitochondria (mitochondria are the power plants of the cell). In my book, I shared my experience that high-dose vitamin D supplementation will help treat some children with autism. Two recent studies support his contention. In the first published open label trial of vitamin D in autism, which Dr. Cannell co-authored, 83 autistic children completed 3 months of daily high dose vitamin D treatment (5,000 IU/day). Collectively, 80% (67/83) of subjects who received vitamin D3 treatment had significantly improved outcome, mainly in the sections of standardized rating scales that measure behavior, stereotypy, eye contact and attention span. Also, a case report in the influential journal, Pediatrics, found that high dose vitamin D supplementation remarkably reduced the core symptoms of ASD in a 32-month old toddler. A study of 37 children aged 3-11 years with ASD were treated for 3 months with large bolus doses (150,000 IU/month given intramuscularly) together with 400 IU/day by mouth). They found significant vitamin D treatment effects in ASD on standardized rating scales, again with no evidence of toxicity. The first and only randomized controlled trial (RCT), which studied 109 ASD children ages 3-10 years using 300 IU/kg/day up to a maximum of 5,000 IU/day has been published in the 2016 edition of the Journal of Childhood Psychology and Psychiatry. The total CARS scores significantly decreased (improved) in the vitamin D group, while the placebo group remained unchanged. If your child improves on vitamin D, he/she must continue to supplement, or the autistic symptoms will return. A 2018 paper on 3 autistic children who had responded well to vitamin D, found that when the vitamin D was stopped, and their vitamin D levels fell below 30 ng/ml, all the symptoms returned. In terms of prevention, an open label study of 20 infants born to mothers who already had one child with ASD, found 5,000 IU/day of vitamin D given to the pregnant mothers and 1,000 IU/day to the resultant child up to the age of 3 years reduced subsequent ASD incidence to 5% instead of the 20% rate consistently reported in the literature for mothers who already had one or more autistic children. The two children (5%) who developed autism in spite of the treatment each had mild autism with only one of two autism scales positive, and may have responded to higher doses during ages two and three years.. For example, the 300 IU/kg/day dose, as used above in the interventional studies, would be 4,500 IU/day for a 15 kg 3-year-old. Research continues to support the theory that vitamin D, especially during pregnancy, infancy and toddlerhood, reduces the risk of developing autism. There is also some evidence that markedly treating with high-dose vitamin D levels in those with autism will reduce the core symptoms of the condition. Men and women planning pregnancy should measure their vitamin D levels to ensure they are sufficient. We recommend that women who are pregnant or breastfeeding maintain vitamin D levels between 40-80 ng/mL (100-200 nmol/L). This may be achieved by supplementing with 5,000 – 10,000 IU/day of vitamin D3 and/or receiving safe sun exposure when the sun is high enough that one’s shadow is shorter than one’s height. Also, normal infants and young children need either sunlight or adequate supplementation (1,000 IU/day/25 pounds of body weight) to help prevent autism. Children with autism need between 5,000 to 15,000 IU/day, depending on their vitamin D blood levels. Doses should be increased or decreased to keep vitamin D levels around 80 ng/ml. As I made clear in my book, vitamin D’s co-factors are also important. Remember, all individuals should maintain sufficient levels. This usually requires 5,000 to 10,000 IU (125 – 250 mcg) per day to keep your vitamin D level above 40 ng/ml. For those with an illness vitamin D may help, higher doses and higher vitamin D levels may be needed. John Cannell, MD. Health condition: Autism. The Vitamin D Council Blog & Newsletter, May, 2018. Chen J, Xin K, Wei J, Zhang K, Xiao H. Lower maternal serum 25(OH) D in first trimester associated with higher autism risk in Chinese offspring. J Psychosom Res. 2016 Oct;89:98-101. Magnusson C, Lundberg M, Lee BK, Rai D, Karlsson H, Gardner R, Kosidou K, Arver S, Dalman C. Maternal vitamin D deficiency and the risk of autism spectrum disorders: population-based study. BJPsych Open. 2016 Apr 7;2(2):170-172. Vinkhuyzen AA, Eyles DW, Burne TH, Blanken LM, Kruithof CJ, Verhulst F, Jaddoe VW, Tiemeier H, McGrath JJ. Gestational vitamin D deficiency and autism-related traits: the Generation R Study. Mol Psychiatry. 2016 Nov 29. Wu DM, et al. Relationship Between Neonatal Vitamin D at Birth and Risk of Autism Spectrum Disorders: the NBSIB Study. J Bone Miner Res. 2018 Mar;33(3):458-466. doi: 10.1002/jbmr.3326. Epub 2017 Nov 27. Elisabeth Fernell, Susanne Bejerot, Joakim Westerlund, Carmela Miniscalco, Henry Simila,Darryl Eyles, Christopher Gillberg and Mats B Humble. Autism spectrum disorder and low vitamin D at birth: a sibling control study. Molecular Autism 2015, 6:3 doi:10.1186/2040-2392-6-3. Published: 14 January 2015. Cannell JJ. Vitamin D and autism, what’s new? Rev Endocr Metab Disord. 2017 Jun;18(2):183-193. doi: 10.1007/s11154-017-9409-0. Review. Wrzosek M, Łukaszkiewicz J, Wrzosek M, Jakubczyk A, Matsumoto H, Piątkiewicz P, Radziwoń-Zaleska M, Wojnar M, Nowicka G. Vitamin D and the central nervous system. Pharmacol Rep. 2013;65(2):271-8. Review. Gatti D, Idolazzi L, Fassio A Vitamin D: not just bone, but also immunity. Minerva Med. 2016 Jul 21. Gatti D, Idolazzi L, Fassio A Vitamin D: not just bone, but also immunity.Minerva Med. 2016 Jul 21. Zhang Q, Cheng Y, He M, Li T, Ma Z, Cheng H. Effect of various doses of vitamin D supplementation on pregnant women with gestational diabetes mellitus: A randomized controlled trial. Exp Ther Med. 2016 Sep;12(3):1889-1895. Saad K, Abdel-Rahman AA, Elserogy YM, Al-Atram AA, El-Houfey AA, Othman HA, Bjørklund G, Jia F, Urbina MA, Abo-Elela MG, Ahmad FA, Abd El-Baseer KA, Ahmed AE, Abdel-Salam AM. Randomized controlled trial of vitamin D supplementation in children with autism spectrum disorder. J Child Psychol Psychiatry. 2016 Nov 21. Spiller HA, Good TF, Spiller NE, Aleguas A. Vitamin D exposures reported to US poisoncenters 2000-2014: Temporal trends and outcomes. Hum Exp Toxicol. 2016 May;35(5):457-61. 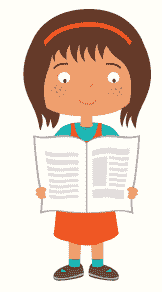 Jia F, Shan L, Wang B, Li H, Feng J, Xu Z, Saad K. Fluctuations in clinical symptoms with changes in serum 25(OH) vitamin D levels in autistic children: Three cases report. Nutr Neurosci. 2018 Apr 8:1-4.